For those of you who hadn’t heard already, December’s Loot Crate featured exclusive items from our favorite superhero, the Caped Crusader himself– Batman! 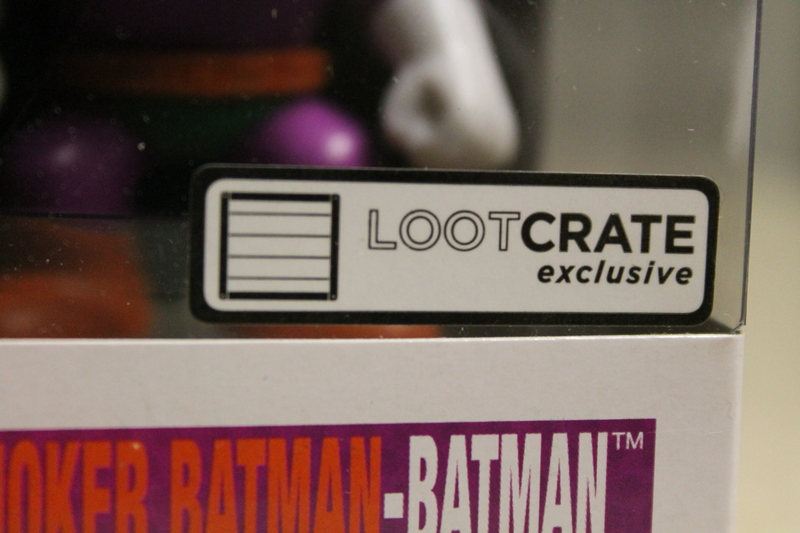 Before we get around to the exclusives, I should probably explain Loot Crate to those of you who may be unfamiliar with it. Loot Crate is a subscription-based service that delivers an awesome box of geeky memorabilia directly to your door once a month (with a new theme every time!) December’s theme was Anniversary, so naturally it makes sense that Batman’s 75th anniversary would be front and center. 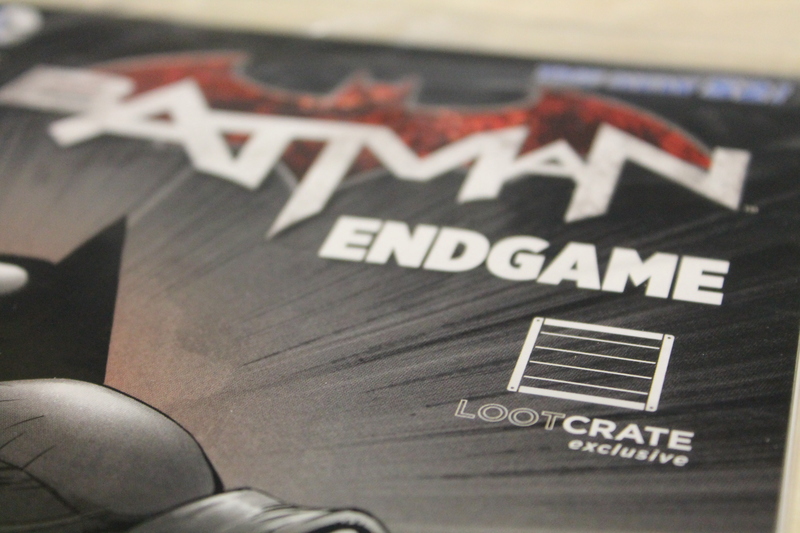 The exclusive Batman items included in the December crate were a special variant cover of Scott Snyder and Greg Capullo’s Batman #36 (part of the Endgame arc) and a “Joker Batman” Funko Pop! figure (featuring the Clown Prince of Crime’s take on the classic cape and cowl.) You can take a look at these exclusive items in the gallery below!